Blue Oval’s heavy-duty pickup truck has been introduced a few hours ago. According to the automaker, the amazing workhorse received an updated design, better tech, and newly improved powertrains. 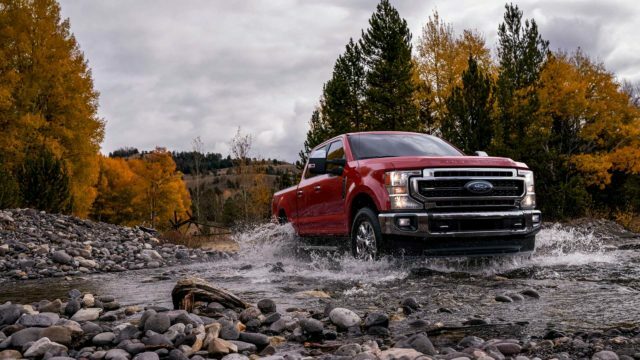 To be more precise, from now on, the 2020 Ford F-250 Super Duty will have a class-leading gasoline engine. Yes, in addition to the standard 6.2-liter V-8, the HD pickup truck will be offered with a 7.3-liter gas-powered V-8 engine. So far, the automaker hasn’t announced power outputs of these two. The manufacturer, however, claims that the bigger V8 is going to be the most powerful option in its class. Blue Oval continues to offer an oil-burner option of course. 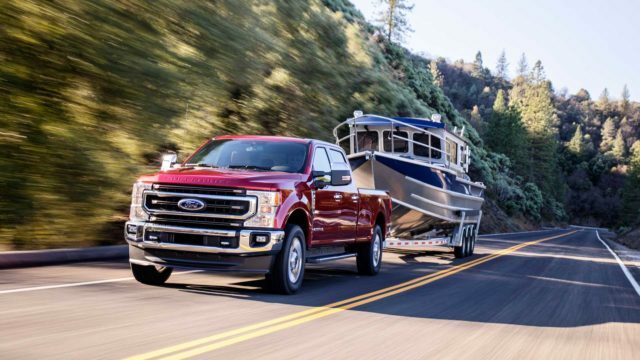 The 2020 Ford Super Duty Diesel will use an updated 6.7-liter turbodiesel V-8 engine. The oil-chugging option has been improved as well, but the carmaker hasn’t released any specific information except it’s been fitted with a new fuel injection system. However, if they want to be the class-leaders, then the diesel mill needs to offer over 1,000 lb-ft of torque, which is a pretty hard task to achieve. The Power Stroke diesel and the new 7.3-liter V8 gasoline engine will come paired with a 10-speed TorqShift automatic transmission only. The amazing ‘box has a really compact design, so it doesn’t need any additional space. It also delivers a wider gear ratio span from the 6-speed auto; plus provides five drive modes: normal, tow/haul, eco, slippery, and deep sand and snow. The entry-point V8 gasoline mill will continue to use a 6-speed auto gearbox. 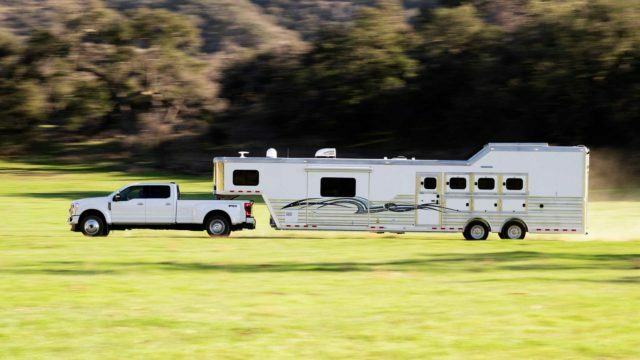 The 2020 F-250 Super Duty gets the Ford Pro Trailer Backup Assist system. The feature is really amazing: it manages to maneuver the largest possible trailers without any problem, especially in tight spots. In combination with the Trailer Reverse Guidance system, the assist enables the most efficiently direct a trailer backward. 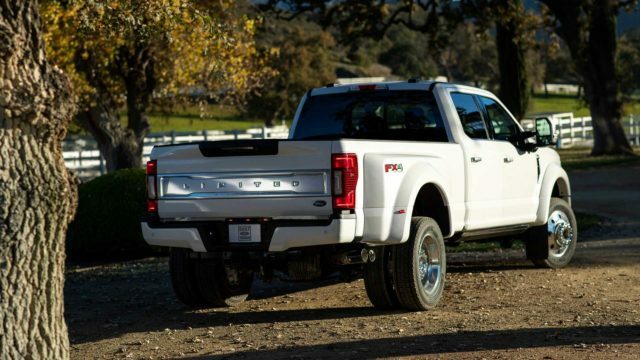 The heavy-duty pickup truck comes hooked with a 4G LTE connection with WiFi hotspot along with wireless charging and USB-C ports. In addition to already available active safety equipment like blind-spot monitors, forward collision warnings, adaptive cruise control, and lane departure warnings, the impressive workhorse now offers emergency braking with pedestrian detection and blind-spot monitors with trailer coverage. 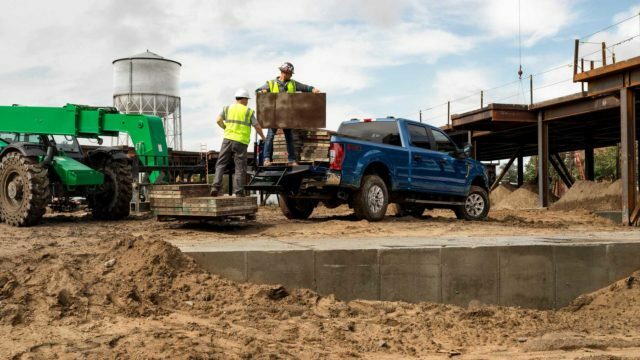 The 2020 Ford F-250 Super Duty isn’t redesigned front the ground up, so it doesn’t look too different from its predecessor. However, there are several styling tweaks on the exterior design. Up front, the pickup truck gets a restyled grille and updated bumper, both designed to provide better cooling of the engine. The new headlights are LED of course, while the taillights in the back feature just new graphics. The rear end gets a new bumper and refreshed tailgate. There will be five basic trims when the HD pickup truck reaches showrooms this fall: XL, XLT, Lariat, King Ranch, Platinum and Limited. Plus, Blue Oval is going to offer the STX (modifies XL), XLT Chrome, Lariat Chrome and King Ranch Chrome (all made with additional chrome exterior features). The automaker hasn’t released any pricing information so far, but we hope to buy the entry-point F-250 HD for around $35K.